Finding water leaks can be extremely frustrating and can get very expensive. 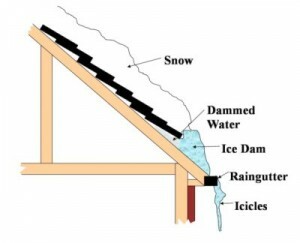 When the leak is behind a wall, or if it’s a roof leak, typical approaches includes tearing holes in the wall/ceiling trying to find the source. A plumber can usually fix water leaks very quickly, but it’s the actual process of locating the source of the water leak that can wreck havoc with your home. Finding water leaks can be easy, fast, and much less costly with our non-intrusive detection process. Moisture and mold will damage the structural integrity of your home and affect the health and well being of you and your family. We Find Water Leaks in Troy, Bloomfield and all Over Michigan! Leaking water can be a problem all over this great state of Michigan, therefore we travel to nearly all locations in Southeast Michigan such as Warren, Sterling Heights, West Bloomfield and wherever water leakage can be a problem!